There are millions of kilometers/miles of unpaved roads around the world managed by numerous authorities, land owners, and public and private organizations. Common to all of these roads are unacceptable levels of dust, poor riding quality and/or impassability in wet weather, and expensive maintenance and gravel replacement activities. Over the last 100+ years, a range of different chemical treatments have been developed to overcome these issues. Most of these are proprietary, which can complicate selection of an appropriate treatment for a specific set of conditions. There is also no single product that will solve all problems under all conditions. A procedure has therefore been developed to guide practitioners in the selection of an appropriate treatment. This procedure, based on the 1999 US Forest Service Guide (Dust Palliative Selection and Application Guide), and updated with new research and experience, factors traffic, climate, material properties, and road geometry into the most appropriate treatment selections for a given set of input values. The procedure is based on the philosophy of using chemical treatments to keep good roads in good condition, rather than attempting to use chemical treatments to “fix” bad roads. 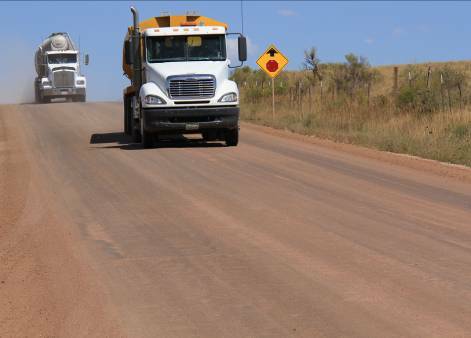 This unpaved road chemical treatment selection tool and information related to it is fully described in the UCPRC guideline entitled "Guidelines for the Selection, Specification, and Application of Chemical Dust Control and Stabilization Treatments on Unpaved Roads." This web-based chemical treatment selection tool can be considered as a companion to the guideline. The photo on the left shows loss of fines on an untreated road while the photo on the right shows the results of applying a fines preservation treatment. This unpaved road chemical treatment selection procedure has been developed to guide selection of an appropriate treatment. It is based on the experience of practitioners and documented field experiment results. It is a guide only and does not replace engineering practice and judgment. Before initiating a treatment program, users should check actual performance for their particular materials and conditions with appropriate laboratory performance tests and/or short field experiments and/or seek guidance from other experienced practitioners and treatment suppliers. 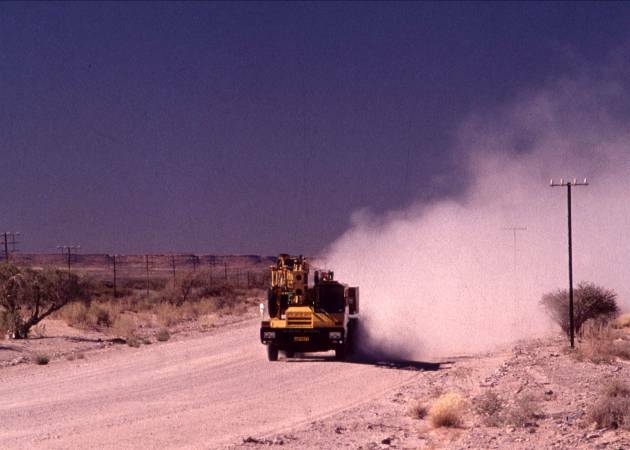 The University of California does not endorse the use of any specific product for dust control and stabilization of unpaved roads. In no event shall the University of California be liable to any party for direct, indirect, special, incidental, or consequential damages, including lost profits, arising out of the use of this system, even if the University of California has been advised of the possibility of such damage. The University of California specifically disclaims any warranties, including, but not limited to, the implied warranties of merchantability, fitness for a particular purpose and noninfringement.